Here's why poorly designed guard rails are so dangerous! Here’s why poorly designed guard rails are so dangerous! 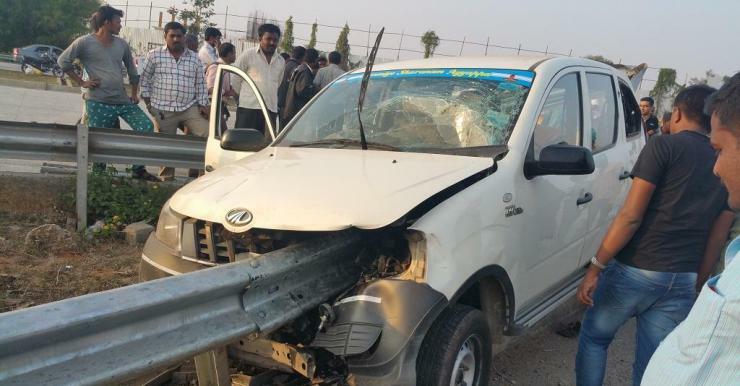 Guard rails, which are meant to protect, are ending up taking lives on Indian roads. And this is happening quite frequently. Take this case of a Mahindra Xylo, near Electronics City – Bangalore. The Xylo driver, said to be inebriated, hit a guard rail on the NICE road. The Xylo got skewered, with the rail passing through the passenger’s side. As for the driver, he fled after the incident, thankfully with his life intact. We only shudder to think what would have happened if there were passengers in the cab at the time of incident. Here are some more grisly images of the guard rail slicing right through the Xylo, entering from the from front and exiting the rear. Others haven’t been so lucky. A Hyundai i20 driver, Uttam Waghmare, succumbed to his injuries after a guard rail sliced right through his car, on the Mumbai–Ahmedabad highway. 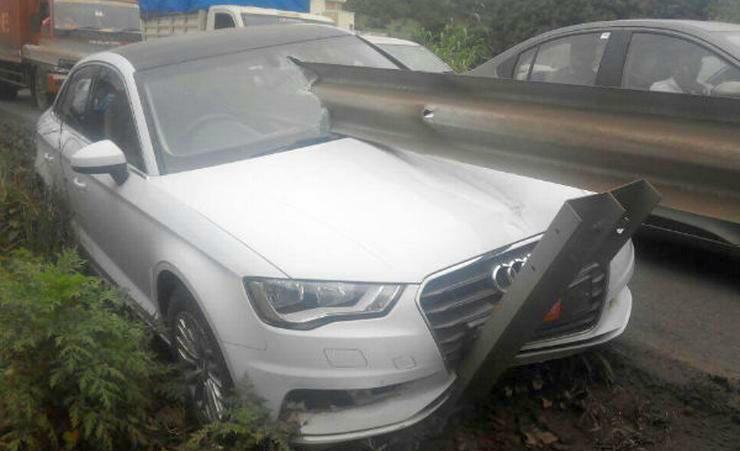 In another incident, a guard rail pierced through an Audi A3 sedan, exiting it from the rear, on the Pune-Bangalore highway. The fate of the occupants remain unknown. These are just three of many such incidents that have happened around India, where people have died after hitting guard rails. Apart from driver error that causes the accident in the first place, the poor design of guard rails don’t help matters. Most guard rails in India do NOT have sloping ends, like this. Sloping ends will ensure that the guard rail doesn’t pierce the car. Most guard rails in India do NOT have visible markings, making them very hard to spot. Naturally, the consequences can be deadly at night or during poor visibility. Cable barriers, like this, are few and far in between. Cable barriers greatly minimize impact, and are much safer for the passengers of the vehicle upon impact. Until road infrastructure improves, here are some ways in which drivers can stay wary of guard rails and other such obstacles on the road. Shed speed, and take speed limits seriously. A slower car means lesser impact in case of accidents, and also more reaction time for the driver to respond to an emergency. Those additional milli-seconds gained due to a slower speed can mean the difference between life, and death. Drive defensively, and away from the right-most and left-most lanes of the highway, where most obstacles (such as guard rails, etc) are generally found. Anticipating such objects on the right and left extremes of the road is the first step towards avoiding them. During night drives, make sure you have powerful headlamps, and also to dip headlamps appropriately.